I have a 2019 Sorento LX 4cyl. 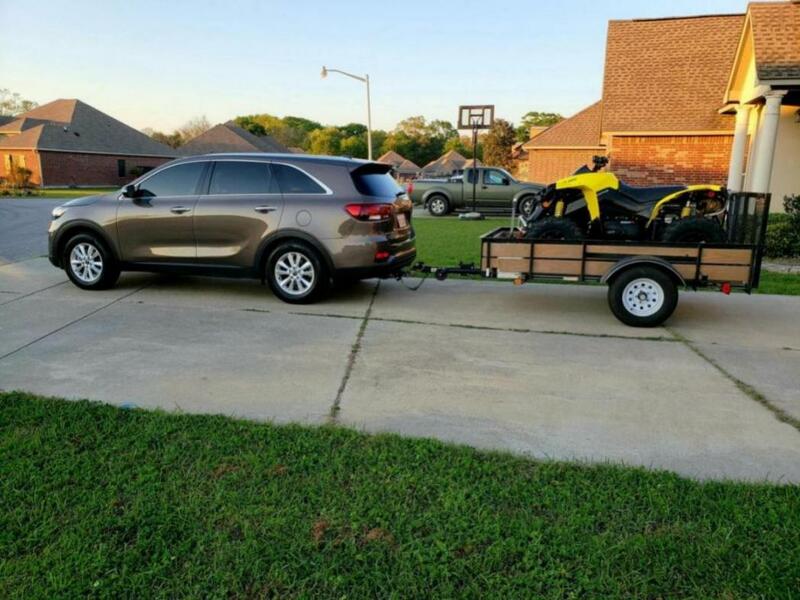 When I bought it I was semi concerned with how it would tow my utility trailer with my 4wheeler. The total weight of the trailer with the 4wheeler is around 1300 lbs. I drove about two hours to a trail to ride and left the car is sport mode to act as a tow mode. I was pleasantly surprised by the power and the behavior. It was very controlled and comfortable. On the route I took the speed limit is 75mph. I left the car in sport and set the cruise to 80 mph. It was getting about 19mpg and staying in 5th gear which is what I expected. Definitely recommend towing light loads with it for sure. Last edited by Passivaggressor; 03-25-2019 at 08:24 PM. My trailer loaded is about 2000lbs... tows it like it wasn't even there. 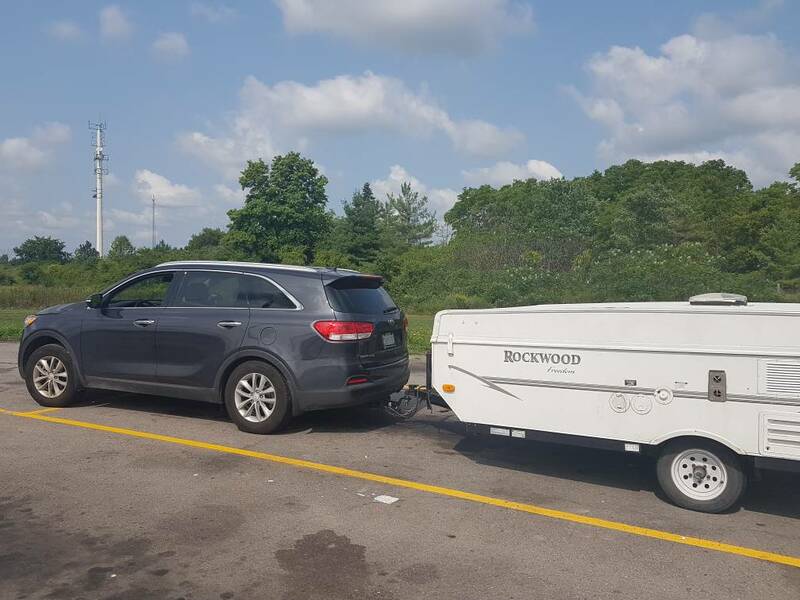 For towing, there is legal concerns and other concerns. If a vehicle is rated for MAX towing 1,500 lbs and one gets into an accident (regardless of who's fault) and someone gets hurt, they better be under 1,500 lbs. If not, expect many years in court. And yes, I would sue the doors off anyone who tows over their vehicle's legal limit and hurts one of my family members. One can bet on it I'll be suing stupid people! For other concerns, remember that a wind-wall trailer at 1,499 lbs pulls much differently than an open flat bed trailer towing at near zero wind drag of an ATV. Load up the inner vehicle with people / cargo, attached trailer at max 1,499 lbs, drive down the road, against the wind and up a steep hill. Then, ask the little I4 engine how much stress its really under. Last edited by Spike99; 03-26-2019 at 03:46 PM. I'm not sure if your comment was directed at the previous guy or me or both. In any case I'm under all the max weights and the I4 does fine for me.